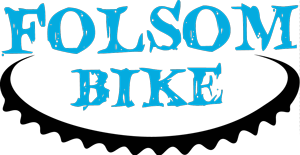 Folsom International Triathlon Race Report … a whole lot of hope! The first race of the season always brings a little extra excitement, also known as stress, pressure, and anxiety! Let’s face it, we don’t train as hard as we do to NOT care about the outcome. No matter what triathletes tell you, they care about the outcome of their race and typically they care quite a bit. Some athletes put more money into triathlon than time put into their training, this is a funny clip to illustrate what I’m talking about: https://www.youtube.com/watch?v=mwecwUiHA2s. This season I planned on spending more time with family and less time training. Due to my foot surgery in January and my daughter’s graduation from high school in June, and many family vacations, I planned a late start to my season. Although I knew the late start would affect my performance, it didn’t stop me from hoping I could pull off a repeat performance of FIT 2015. Well… here’s the deal, hope gets you nowhere and training gets you everywhere! Coming back from surgery has been a little more difficult than I had hoped. By FIT race day I had trained 15 weeks of swimming, 12 weeks of biking, and 8 weeks of running, by most standards that’s not enough to perform at a high level. My swim time was basically the same compared to my 2015 race, but my bike was 2 min slower and my run was 4 min 30 seconds slower. Really, my results make perfect sense, but it wasn’t what I was hoping for. See you can’t rush fitness, it takes time, commitment and consistency. Although I am consistently training, I haven’t been back at it long enough to be able to push my body the way I did in previous seasons. I learned the hard way by pushing a little too hard a little too early and finding my body breaking down. Thankfully Vince Hoffart from @hoffartchiropratic has been doing his job and keeping me tuned up. I’m paying attention to my body and how it responds to the incremental training intensity and stress. I don’t expect any huge gains in fitness in 2016 but I know I am slowly getting back into shape and hopefully by Ironman AZ in November I will be doing less hoping and more performing. I am happy with my second place AG finish at FIT, it was an overall great race for me. The swim was pretty cold this year, the water temperature really shocked me at the start. I got a little bumped around at the first turn by some of the guys but I was able to talk myself off the ledge by the second turn when the sun was finally behind me. I was pretty cold when I got into T1 so putting on my socks was kind of a joke. I know many triathletes go sockless, I am not a fan…I hate hot spots and blisters. I ran into my friend Jeff Dubois in T1 and yelled at him to pick it up; he is so fast, but transition is not his strong suit. The bike was nice, the wind was moderate and there was plenty of room on the course once we made the turn onto Folsom Rd. It was so fun seeing my teammates (Elise Winter & Dina Neils) out on the course, I loved cheering them on. The bike was pleasant for the most part, no real issues or concerns. My daughter Nat and my husband Jeff were on the bike course at the Aquatic Center and I so appreciated having them out there to cheer me on! I get a little choked up when I see my family on the race course, especially at Ironman. I know triathlon is not a great spectator sport, but by now we have the timing dialed so they don’t have to hang out waiting as much. T2 was nice and easy, I threw on my shoes and was off to begin my run. I had a great clip going for the first few miles, I even shocked myself with my pace, up until about 4 miles when the wheels came off the bus. There were a lot of fast girls out there this year, super impressive group of athletes. The only shady part of the run! The finish! Thanks to USA Productions for the complementary beer at the end, a sweet touch I might add! Next up, Vineman 70.3 July 10, 2016.